Our customer support agents are available to help! We are dedicated to providing you with a highly enjoyable membership and excellent service. Our top priority is to provide you with courteous, helpful service with any and all membership related questions. Please take a moment to review the frequently asked questions listed on this site. In most cases you'll be able to resolve your problem quickly and easily through this site. Your happiness is our top priority! Answer: Pick a girl that you like that is not currently in a private show. You will know she is in a private show already if the banner "private" appears in the top left of her image. After selecting the girl, click the "Private Show" button under her video or the link above the chat box. This will take you through the registration process. If you are already a member then click the "Already a Member" link or the "Login" link in the top right of the screen and repeat process. Answer: Private 1-on-1 Chat starts with the ability to chat free with the model. At any point one (and only one) of the registered users on the site can take the girl from free chat into a private chat area. From here the model will be able to get way more "comfortable" :). You will be alone with her and no other users (besides you) will be able to communicate with the model. Show Mode works differently, multiple users are allowed to view the show at once! Answer: The average private 1-on-1 chat costs $3.99 per minute. The average Show Mode is $1.99 per minute. Answer: Please click here and fill out the form completely. We will review your application and contact you in a few days. Answer: First, log into your account. On the top right hand corner of the homepage you will see "show mode". Click on "show mode" in order to enter this feature. This is not a private chat. There will be other members in the "show mode" as well. You will then be allowed to choose the model you'd like to chat with. By clicking "show mode" you are deducting credits from your account. If you do not have any available credits in your account you will then be prompted to purchase credits. Answer: If you are a member with a cam and wish to use this feature with a model you must click on the "cam-to-cam" button located on the top right hand corner of the "Private" screen. Upon clicking this you will be prompted to allow Adobe Flash Player. Please make sure your cam is connected properly before accepting. Once you've accepted your image will appear on the top right hand corner of the Private Show and the model will then be able to see and chat with you. Additionally, we are now giving you the 2-way video "cam-to-cam" option in free chat with select models! Just click the "Cam to Cam" button at the top right of the video stream to get started! Answer: First, you must be logged in or will be prompted to do so. When you enter a model's free chat page, a purple banner will appear across her image if spy mode is available while she is in a private show. Simply click on the "Enter Spy Mode" button to begin to spy on the private show where you can view the video but no audio or chat capabilities. Credits will be deducted from your account at the displayed rate. If you do not have any available credits in your account you will then be prompted to purchase credits. Answer: Tipping is an interactive feature while in free chat with a model. It allows you to let her know how much you enjoy her company. Her "Topic" at the top of the free chat area tells you what's going on in her room. The "Tips Left" counter indicates the remaining tips until she honors her topic. If you're interested in the model's topic or have a simple request, you can tip her by clicking the "Tip Me" button next to her topic. A window appears with a list of tipping values (e.g. $2, $5, etc). The tipping values available to you are based on your available account balance. Simply select a tipping value and the model will be notified of your tip. You will also see your tipped amount appear in the free chat area. The models are usually very honest so they'll honor their topics as well as accommodate personal requests (within what is acceptable behavior on the site). When the model's "Tips Left" reaches zero, she has achieved her tip goal and the fun begins! Answer: Enter your username and email address when you click here and we'll send your password to you. Answer: Please note that your .com account is free and you will only be charged for credit or membership packages you have purchased. However, if you'd still like to cancel please contact customer service. Answer: You will be billed discreetly. You will only be billed once for this amount. Your options for purchasing these credit amounts are before, during or after a PRIVATE session. Once your credits are running low during your PRIVATE session our system will ask you if you'd like to purchase more non-recurring credits. You may choose to accept or decline this option and end your PRIVATE session. Note: If you choose to decline, your PRIVATE session will end once your credits are spent. Answer: If you are seeing a pending charge for a transaction that has already gone through please allow 48 hours for the pending transaction to be dropped. This charge is just a temporary hold from your bank. This depends on the customers bank. Answer: This is step down billing and is explained as follows. If you purchase a $29.99 credit and don't have the funds available in your bank account our system will automatically charge you 20% less of the original credit option chosen. Note: The system will attempt to debit your account 3 times in a one week period following your attempt. This is not a reoccurring feature and only takes effect if your card has insufficient funds for the credit options selected. Answer: EZ Bill is a feature that is controlled by the member. If you select to enable this feature, your account will automatically reload the amount specified by you when credits are running low. Answer: Click on the "MY ACCOUNT" link at the top of our home page. Then click on the "MY ACCOUNT BALANCE" option on the left side. Answer: We accept VISA and Mastercard credit cards. 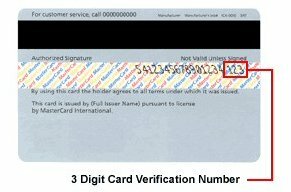 Please verify the first and last name entered, card type, credit card number, and the CVV number (What's This?). Or contact us for manual processing. Our sites are designed with Internet Explorer users in mind. Firewalls, such as Norton Internet Security, are generally good things to have, but they sometimes interfere with our site. If you are behind a firewall contact your network administrator to see if you can have direct access to the internet from your computer. If you have apersonal firewall, disable it while you are visiting our website, and turn it back on when you leave. For the best possible experience while visiting our sites, please disable your Pop-up Blockers. Answer: Adware can hijack your internet browser and may prevent you from accessing our websites properly. Answer: WebTV does not currently support our websites. - Adobe Flash installed on your browser (if you're able to view the model video feed, then you already have it installed. - A webcam attached to your computer. All chargebacks are thoroughly investigated and may add you to a blacklist with our processor, which will complicate future online purchases. Denying a purchase that you have made is illegal and will result in an investigation which can lead to heavy fines or other legal action toward you. Your credit rating can be affected by false claims of fraud. If you have any questions or concerns, please contact us to clarify the matter.